"we have plans such as setting up an office in China, bringing more youngsters and female into Formula one, and holding activities to invite more families to involve in." 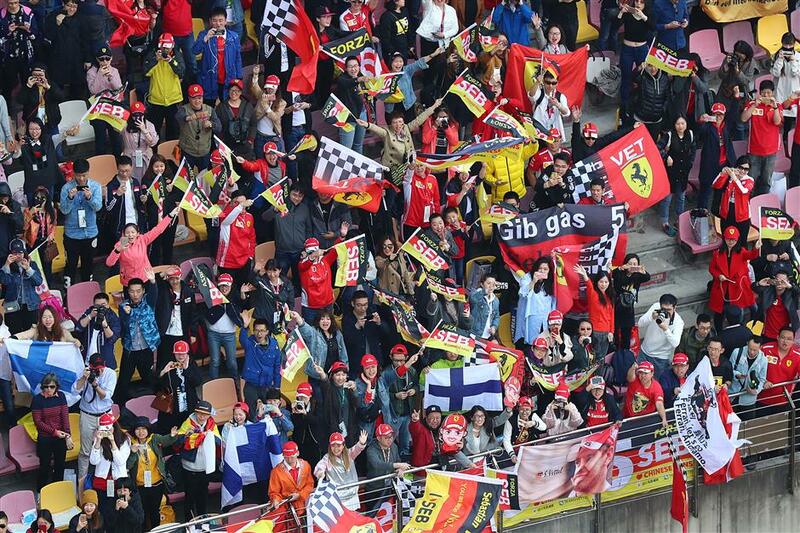 Fans cheer during the Formula One Chinese Grand Prix in Shanghai on April 15, 2018. Formula one is to start the process of localization in China, F1 director of strategy Yath Gangakumaran said on Sunday. Gangakumaran said one of their strategies is to open an office in the country. "I am so happy that we have renewed a three-year contract with Juss Sports last September," said Gangakumaran. "Now we are looking forward to further cooperation with China, which is a booming market with lots of potential. In terms of localization, we have plans such as setting up an office in China, bringing more youngsters and female into Formula one, and holding activities to invite more families to involve in." "Three-year is not a long time for a contract, but since F1 and China already have the foundation and sincerity for a long-term partnership, I think F1 will work with China forever," he said.